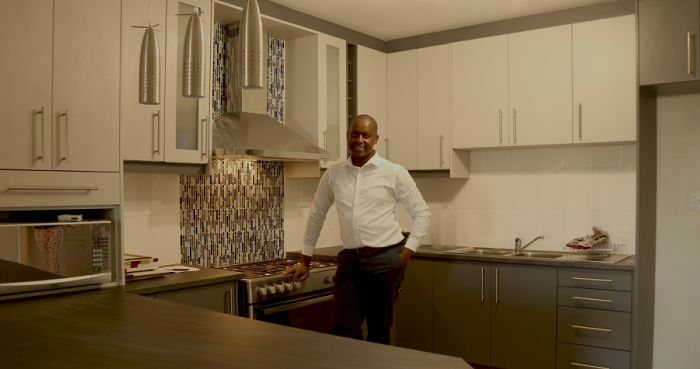 Ndlovu says he hails from a sales background but was always passionate about housing. Because of the passion of building houses and seeing the finished product, I started learning about the construction business and then went into the construction business. He began working on sites learning with a hands on approach. I think that's the best teacher. He has been in the construction business for about seven years and began buying land with a partner and building houses. There is often miscommunication between a developer, a contractor and a client. He says they wanted to do things differently. What's unique about our business, we involve the client from Day One....until the end of the project when the client feels they own the house, it's their house. It's the biggest investment they will make in their lives. They only build with brick, he says, it is the tried and tested way. It's not a hard industry. It just needs passionate people. it is the perfect business to get into if you like making people happy, he adds. The company builds homes across the earning spectrum. Currently they are focusing on building houses for middle-income earners - building houses from around R750 000 to R2.4million. This is where there is a massive shortfall....it is a market we are targeting. They are also exploring the lower income market as there is such a shortage of homes in this category. We want to assist in building houses for the nation.